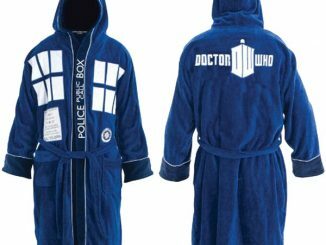 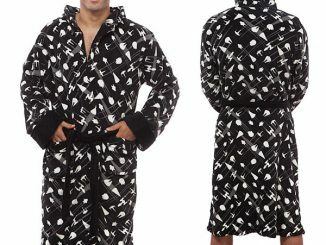 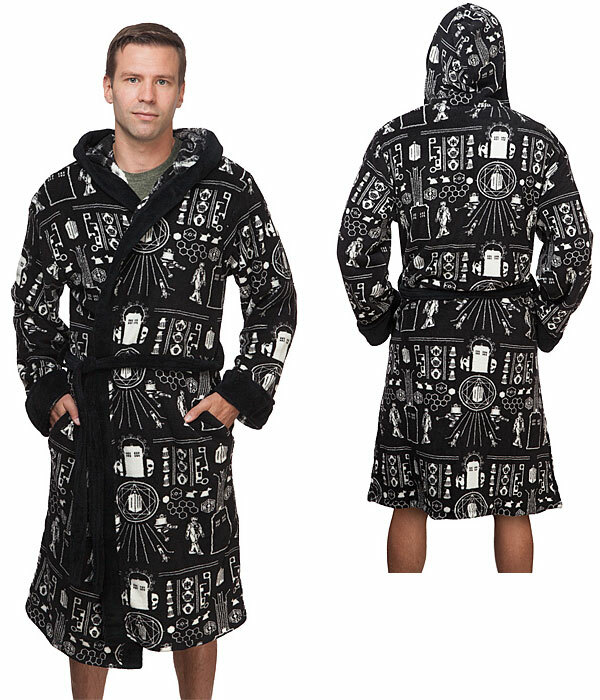 This Doctor Who Time Lord Fleece Robe has black fabric with cool Doctor Who designs in white. 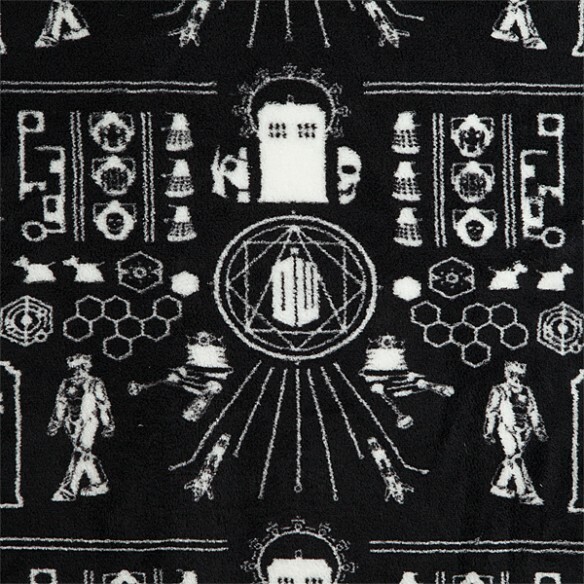 It has Cybermen, Daleks and even K-9. 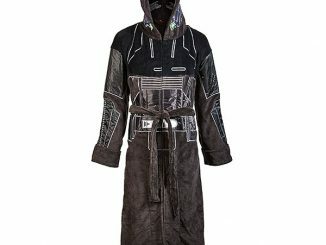 It’s comfier on the inside. 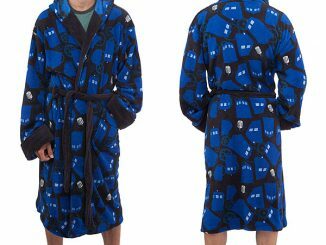 It may be the best Time Lord robe ever. 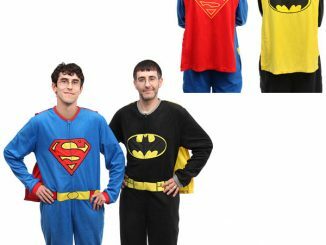 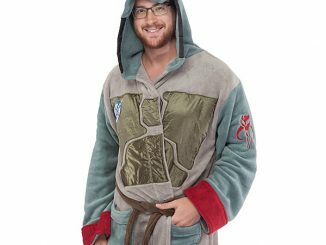 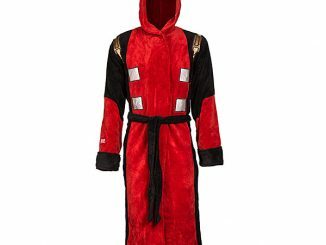 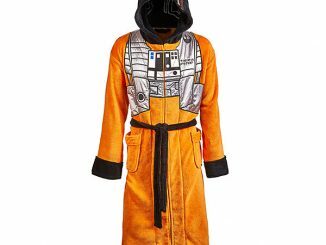 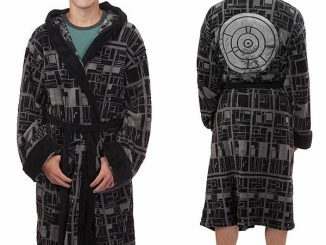 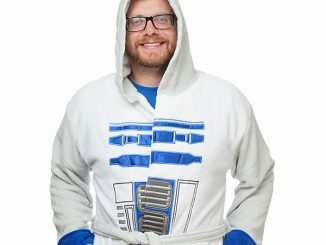 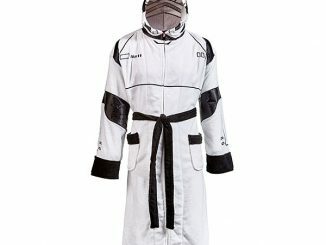 You are going to look great in this robe.